In today's competitive business environment, a highly-skilled and productive workforce is a company's great asset. The Customized Training Center at ATCC provides training to organizations seeking to improve profitability, productivity, morale and/or quality of work life. While this center specifically serves the southwestern counties of Minnesota, it include a lot of helpful information free for anyone about starting and running one's own business. MState works with companies to help them expand and become more efficient, and assists in developing a skilled workforce by providing high-quality training and well-educated instructors. West Central Minnesota Small Business Development Center (WC MN SBDC) is hosted by the Offutt School of Business, Concordia College. Known as the SBDC, this program is a joint venture by the Small Business Administration (SBA), Minnesota Department of Employment and Economic Development (DEED), Concordia College and regional partners. The SBDC provides no-cost, confidential, professional consulting and resources to those seeking to start a business. Our consultants work with current small businesses to grow, expand or explore their options. The SBDC provides consulting in the areas of strategic planning and business development, and SBA loan assistance for small business owners, along with financial projections, business plans, exporting, human resource, marketing planning and development, marketing research, product development, sales, and patent assistance. For services, please complete the free registration at www.offuttschoolofbusiness.org/sbdc or contact us at sbdc@cord.edu or 218.299.3037. The Center for Small Towns is a community outreach program housed at the University of Minnesota, Morris (UMM) and serves as a point-of-entry to the resources of the University of Minnesota. Small towns, local units of government, K-12 schools, non-profit organizations and other University units are able to utilize the Center's resources as they work on rural issues or make contributions to rural society. The EDA leads the federal economic development agenda by promoting innovation and competitiveness, preparing American regions for growth and success in the worldwide economy. Live Wide Open is a marketing campaign to encourage people to move to, return to and stay in west central Minnesota. Minnesota communities can tap into the Department of Employment and Economic Development’s financial and technical assistance programs to help spur business growth while addressing important revitalization issues. DEED offers grants, loans and technical assistance for redevelopment projects and activities, including housing and commercial rehabilitation, wastewater treatment facilities and drinking water systems, and contaminated site clean-up. MADO is comprised of 10 Minnesota Regional Development Organizations (RDOs) whose purpose is to promote and create economic prosperity in Greater Minnesota. WCI is a member of MADO and serves as the RDO for MN District 4. The National Association of Development Organizations (NADO) provides advocacy, education, research and training for the nation's regional development organizations. Building on nearly four decades of experience, the association offers its members exclusive access to a variety of services and benefits -- all of which are designed to enhance the ability of regional development organizations to foster "regional solutions" to local government, business and community needs. Committed to the future of rural communities. This site is designed to provide information on the White Earth Nation. Healthy rural communities grounded in strong economies where the burdens are widely shared. Building a strong foundation for the future of our region. The Northwest Minnesota Foundation invests resources, creates opportunities, and promotes philanthropy to make the region a better place to live and work. Southern Minnesota Initiative Foundation invests in the region’s future growth through grants, loans, technical expertise and partnerships that foster workforce readiness and entrepreneurial activity—especially in areas of biomedicine, bioagriculture and alternative energy. The mission of the Southwest Initiative Foundation is to be a catalyst, facilitating opportunities for economic and social growth by developing and challenging leaders to build on the region’s assets. "The McKnight Foundation, a Minnesota-based family foundation, seeks to improve the quality of life for present and future generations. We use all our resources to attend, unite, and empower those we serve." This table provides contact information for most of Minnesota's 87 counties; a starting point to direct questions about geographic data and GIS technology. It was developed through informal surveys conducted by the Land Management Information Center in 2000 and is updated annually. The Federal Geographic Data Committee (FGDC) is an interagency committee that promotes the coordinated development, use, sharing, and dissemination of geospatial data on a national basis. A collaborative place for users and publishers of geospatial resources in Minnesota. The Minnesota GIS/LIS Consortium is a forum for communicating information to, and improving cooperation among, those interested in Geographic Information Systems (GIS) and Land Information Systems (LIS) in the State of Minnesota. The Minnesota Governor's Council on Geospatial Information coordinates the development of geographic information technologies statewide. View, save and print statewide maps including all public roads in Minnesota. The Pine to Prairie GIS User Group facilitates interaction between GIS users in Minnesota, North Dakota and South Dakota. IRS.gov's search engine will help you find the information you are looking for, quickly and easily. This online version of Publication 78, Cumulative List of Organizations, will tell you if an organization is exempt from federal taxation and, if so, how much of your contributions to that organization are tax deductible. MCF works actively to expand and strengthen a vibrant regional community of diverse grantmakers who individually and collectively advance the common good.  MCF members include private family and independent foundations, community and public foundations, and corporate foundations and giving programs. To help you navigate the world of grant funding, WCI has joined the Funding Information Network and is now able to offer you access to Foundation Directory Online. 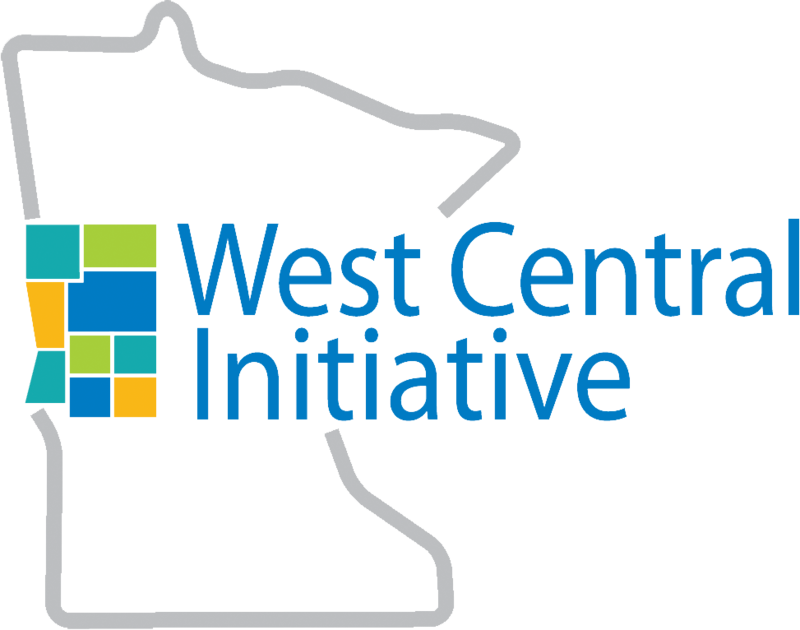 West Central Initiative invites you to come to the office to search the grant database. Please call WCI at 800-735-2239 to schedule an appointment. Propel Nonprofits provides a holistic approach to services that meet a large set of nonprofits’ needs, including the ability to more closely link strategy, governance, and finance and to support nonprofits throughout their organizational lifecycle. Propel Nonprofits serves nonprofit organizations in Minnesota and the adjacent states of Wisconsin, Iowa, North Dakota, and South Dakota. The Minnesota Council of Nonprofits (MCN) was founded in 1987 to meet the increasing information needs of nonprofits and to convene nonprofits to address issues facing the sector. MCN is the statewide association of more than 2,000 member nonprofit organizations. Through its website, resource publications, workshops and events, cost-saving programs and advocacy, MCN continually works to inform, promote, connect and strengthen individual nonprofits and the nonprofit sector. Find out what’s happening in your area and connect with people in your community and beyond! Stoel Rives enjoys a 100-year tradition of excellence as a leading U.S. law firm. With more than 365 lawyers practicing across the full spectrum of corporate law and business litigation, and offices in seven states, we provide legal services to clients with local, regional, national and international operations. Minnesota Safe Routes to School combines the expertise of multiple state agencies together with national and local partners to provide parent, school and community groups with the resources needed to support walking and biking to school. This statewide effort promotes the development of comprehensive local SRTS programs that cover all 5Es — education, encouragement, enforcement, engineering, and evaluation. The National Center for Safe Routes to School assists states and communities in enabling and encouraging children to safely walk and bicycle to school. BikeMN is a proud member of the MN Safe Routes to School Partnership. Our biggest contribution is developing, promoting, and administering the Walk! Bike! Fun! curriculum. The new Minnesota Walk! Bike! Fun! Pedestrian and Bicycle Safety Curriculum is a two-part curriculum designed specifically for Minnesota’s schools. It is structured to meet Minnesota education standards and is an important part of the Safe Routes to School Program in Minnesota. We’re making Minnesota a healthier place to live, work and play. Access to affordable, healthy food. Tobacco-free air. Walkable and bikeable neighborhoods. In some communities across our state, these things are a reality. The ATVAM helps to ensure the future of ATV activities in the state of Minnesota. The Department of Natural Resources' vision today is of sustainability and an ecosystem-based framework for setting natural resource management priorities. Minnesota United Snowmobilers Association (MnUSA) was organized in 1978 to protect, preserve and promote the sport of snowmobiling throughout Minnesota through favorable legislation and programs. The Fargo-Moorhead Metropolitan Council of Governments (Metro COG) is the Metropolitan Planning Organization (MPO) for the Fargo-Moorhead area. An MPO is a transportation policy-making organization made up of representatives from local government and transportation authorities. Headed by an Administrator who is appointed by the President of the United States, FTA provides stewardship of combined formula and discretionary programs totaling more than $10B to support a variety of locally planned, constructed, and operated public transportation systems throughout the U.S., including buses, subways, light rail, commuter rail, streetcars, monorail, passenger ferry boats, inclined railways, and people movers. Mn/DOT's most important priority is to operate, maintain and preserve Minnesota's existing transportation systems and infrastructure. Ruraltransportation.org offers information and resources for rural transportation policy makers, planners and stakeholders. This site is a product of the National Association of Development Organizations (NADO) and the NADO Research Foundation. Communities across America are using Transportation Enhancements (TE) funds from the federal government to expand travel choice, strengthen the local economy, improve the quality of life, and protect the environment. At the National Transportation Enhancements Clearinghouse (NTEC), we can help you learn how to use TE funds to revitalize the transportation experience in your community. A grassroots national campaign with the goal of introducing young people to exciting manufacturing careers and the education and training needed to claim these careers. There is a growing shortage of skilled employees in today's advanced manufacturing and a lot of young talent out there! Dream It! Do It! is connecting talent to opportunities in this great career field.